President Trump has opened a rift with one of America’s closest allies. But things have been worse. Are the two countries close? The strong, neighborly ties between Canada and the U.S. are virtually unprecedented in world history. The two nations share the world’s longest border, which is mostly undefended except for civilian law enforcement, and the American and Canadian militaries work hand in hand for joint defense through the North American Aerospace Defense Command, or NORAD. The U.S. and Canada also have the largest trading relationship of any two nations in the world, exchanging $1.9 billion in goods and services every day. The nations’ electrical grids are completely integrated as well. Nevertheless, Canadian-American relations appear to be at their lowest point in years, thanks to President Trump’s decision to levy tariffs on Canadian steel and aluminum imports in the interest of “national security.” The tariffs, as well as Trump’s personal attacks on Prime Minister Justin Trudeau, have enraged Canadians. “The idea that we’re some national security threat is just preposterous,” said David Perry, a senior analyst at the Canadian Global Affairs Institute. Have we always been allies? No. In fact, Canada’s identity was forged in its opposition to its southern neighbor. During the American Revolution, Britain’s Canadian colonies rebuffed invitations to join the revolt against the crown, and Canada ultimately became a haven for some 40,000 loyalist refugees fleeing persecution at the hands of the victorious patriots. 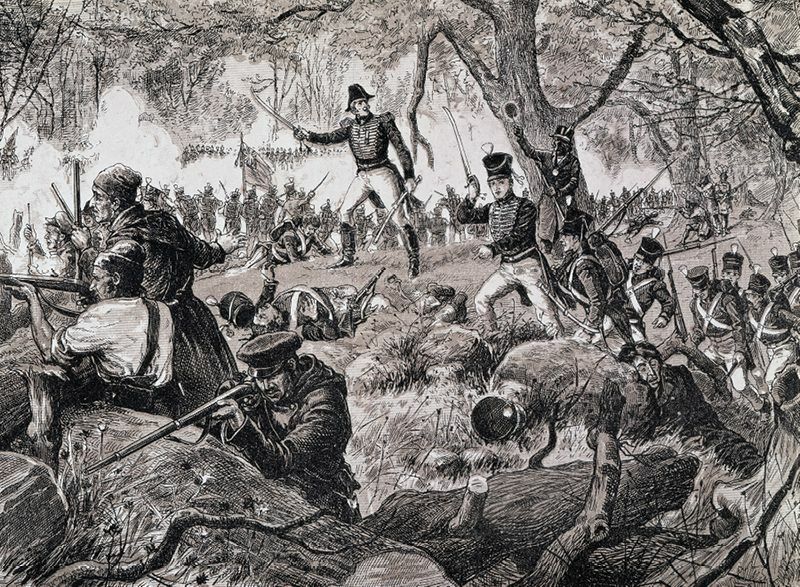 When hostilities broke out again between the U.S. and the British in the War of 1812, American troops invaded Canada expecting to be greeted as liberators, only to be beaten back by British and Canadian troops. The war contributed greatly to Canada’s emerging sense of self. Travel to Ontario, which saw much of the cross-border fighting, and you’ll find monuments celebrating the triumph of Canadian arms over the invading Americans. Did relations improve after that? Somewhat. The U.S. never invaded Canada again, and the border was largely demilitarized in successive treaties between Britain and the U.S. But disputes over the border persisted throughout the early 19th century as the U.S. pushed westward. After the American Civil War, some Republicans demanded that Britain cede all of Canada as reparation for supporting the defeated Confederacy. Fears of another American invasion helped lead to the creation of the Dominion of Canada on July 1, 1867—now celebrated as Canada Day—which united the colonies of Canada, New Brunswick, and Nova Scotia into one semi-autonomous confederation within the British Empire. It was the beginning of the modern Canadian nation.